Description: LAYAWAY AVAILABLE. All US Government Issue, selected as "Service Grade", this Springfield made US M1 Rifle, designed by John Garand is in a condition that will not often be seen for sale. All wood and metal is very good, inside and out. Range tested as an excellent shooter. Strong, sharp bore. 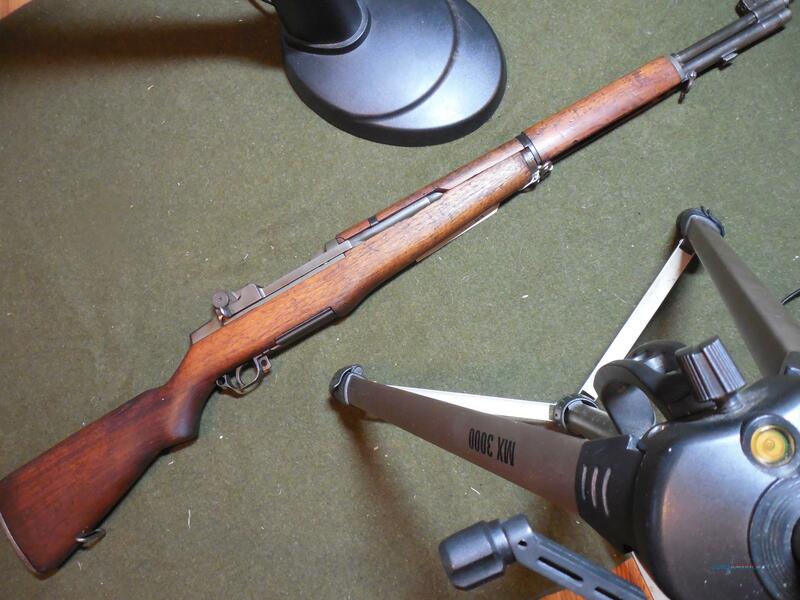 Original 30-06 chambering, having an eight round enbloc clip. In the box with the M1 Rifle, will be the Instruction Manual, enbloc clip and range safety flag for chamber. More photos upon request. Full list of other firearms offered, upon request. All questions will be answered promptly.